Sales of the automobiles in US are increasing day by day. Apart from the local auto makers which are marketing in US, even other companies also are increasing their sales. They are launching their new models. Audi the famous German Auto Manufacturer, which is the subsidiary of Volkswagen is planning to launch a new model A3 TDI Sedan in United States. 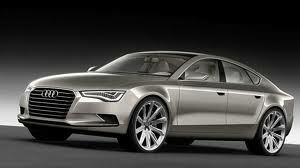 The company wants to boost its sales by selling, Audi A3 sedan and to get their product marketed. Apart from launching new models, the company is also planning to release the enhanced version of A3, the larger A4. According to the company, as soon as A3 sedan will be seen on the roads of U.S, the company is planning to introduce the larger A4. According to the auto experts, the Audi A3 Sedan will compete with the other existing models of other companies like BMW 1-series and the Mercedes Benz B-class. The company is going to launch this model in 2013. Even the officials expressed that the Audi A3 Sedan will have the best and unique characters. Thus the company is hoping for the best sales figures in US. Thus, the Sedan lovers of America will have great satisfaction using the Audi A3 Sedan.